PEARL MOON offers the dream getaway…surrounded by jaw-dropping natural beauty, it is a quiet sanctuary of modern-day luxury and ease, combined with good old-fashioned country hospitality and warmth. 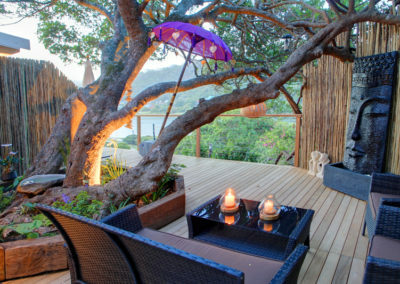 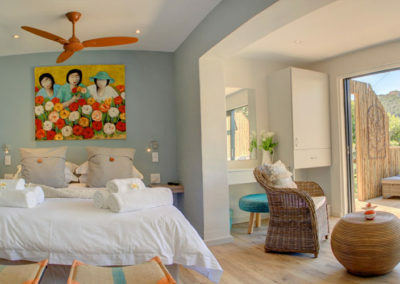 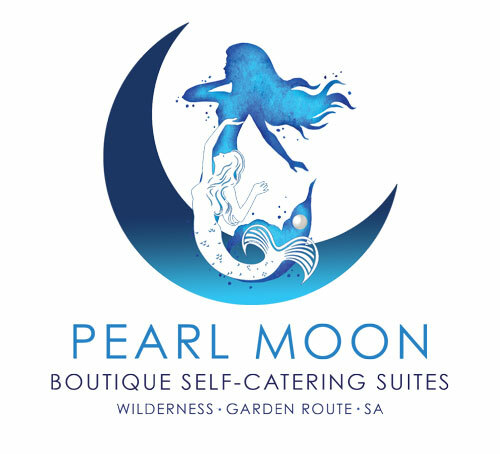 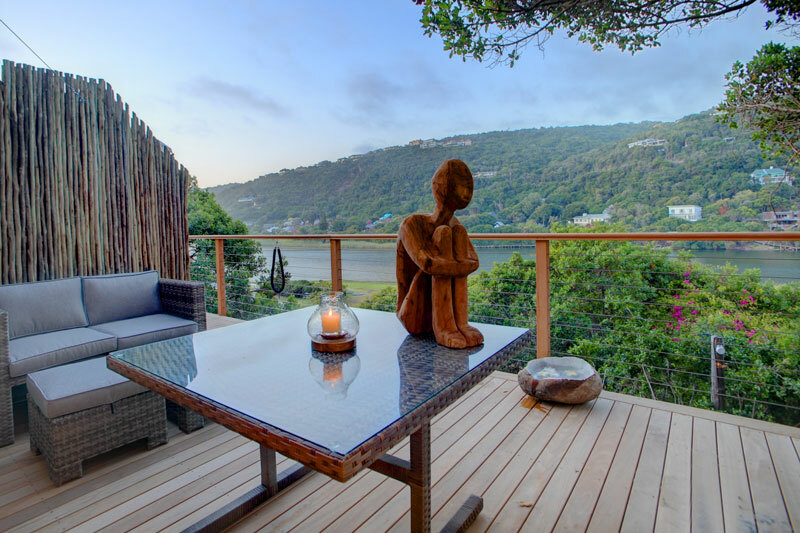 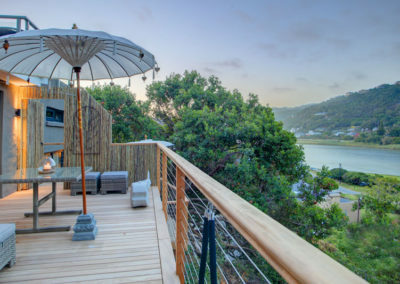 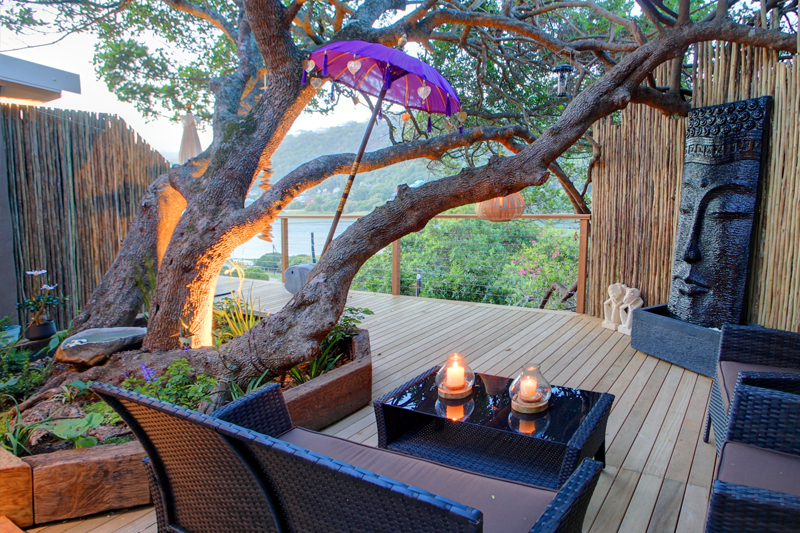 Just a few minutes’ walk from the charming Garden Route Village of Wilderness and its array of quaint restaurants, PEARL MOON overlooks the serene waters of the Touw River and is only a stone’s throw away from the endless white beaches of Wilderness. 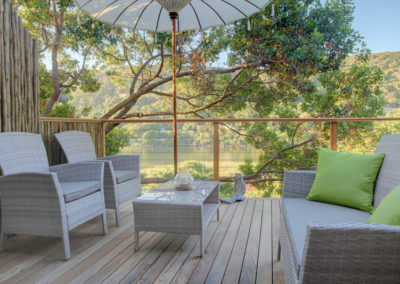 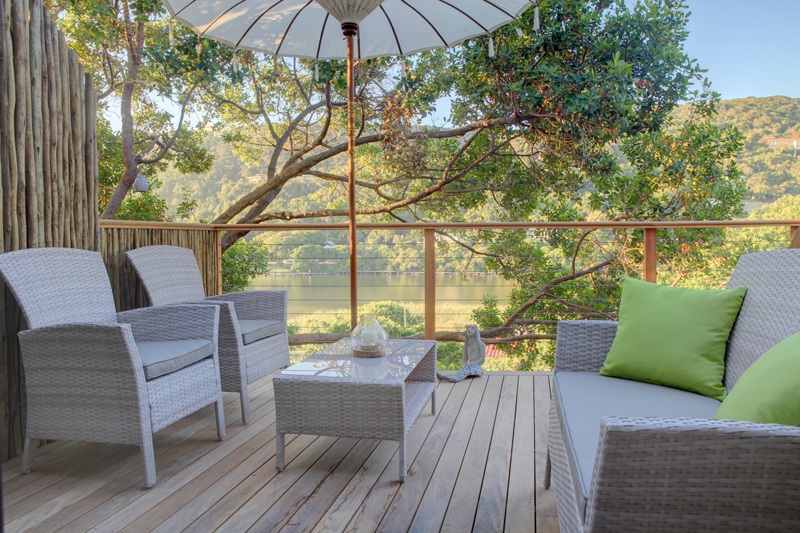 Set in a lush green garden, PEARL MOON consists of four premium self-catering suites, each with a private balcony and panoramic view of the river for lazy sundowners and bird watching. 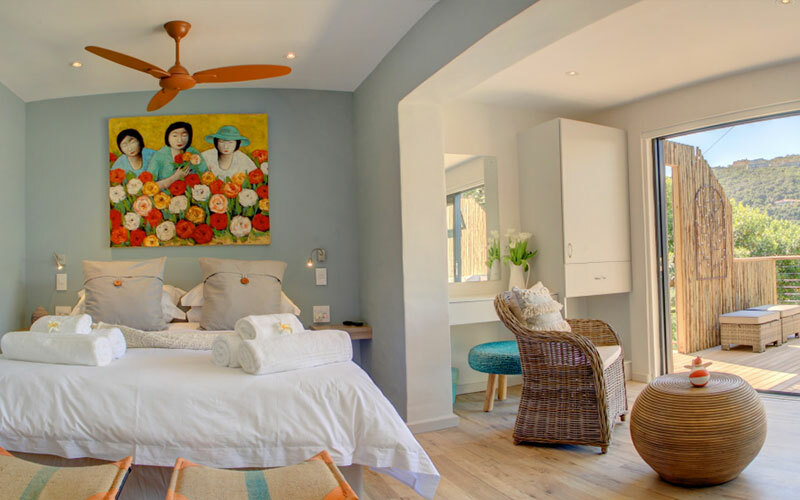 Featuring top-of-the-range décor, furnishings and amenities, each suite also has a well-equipped kitchenette for maximum privacy (The property offers a fully fitted communal kitchen for more serious cooking needs). 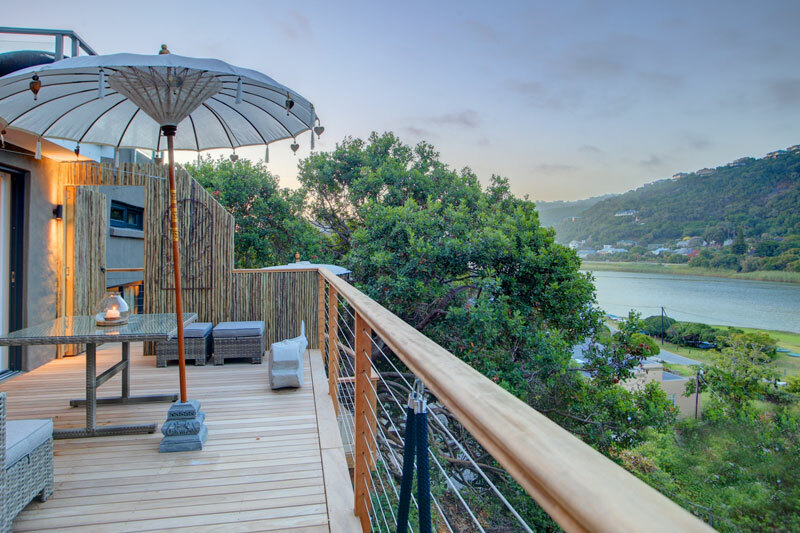 Long walks on the beach; fishing; surfing; paddle-boarding; mountain biking; hiking; or simply relishing ‘just being’ amongst nature’s abundant beauty, PEARL MOON guarantees a getaway beyond compare.